Culture teaches us to blend in. In school we're taught to sit still, speak when spoken to, and mind our manners. We abide by moral codes, dress codes, and codes of conduct. When we venture outside of the norm, we reap the consequences of rebellion. When you blog, it's good to be different -- or, rather, to differentiate yourself. The world really only needs one Pioneer Woman (and mimicking her style isn't going to win you a book deal or a television show). And, as lovely as Smitten Kitchen is, no one would be very smitten if every blog was just another version of the same. So, here are a few words of advice that every blogger should follow. Buck the trends. They're only trends, after all. And they, too, shall pass. Find a niche where you feel comfortable today -- and where you're likely to continue to be comfortable tomorrow -- and make your home there. Find your writing voice -- it's one of the most valuable gifts you can give to yourself. Be yourself -- and totally yourself. Let people get to know the real you. Be weird. Be unique. Be random. Go wild. Because you never know who might love the person you otherwise hide. You won't be surprised when we say that we love companies that follow this advice in the way that they do business... entrepreneurs who approach things just a little bit differently, and who aren't afraid to do exactly what they love... and do it well. Howling Wolf Sauces, based in Theresa, Wisconsin, was started by Ken Wolfe, a classically trained chef who always had a passion for sauces. Wolfe started in the industry, running a cafe in Wyoming which was known for its outstanding ribs and barbeque. He moved to Wisconsin to focus full-time on marketing his sauces. 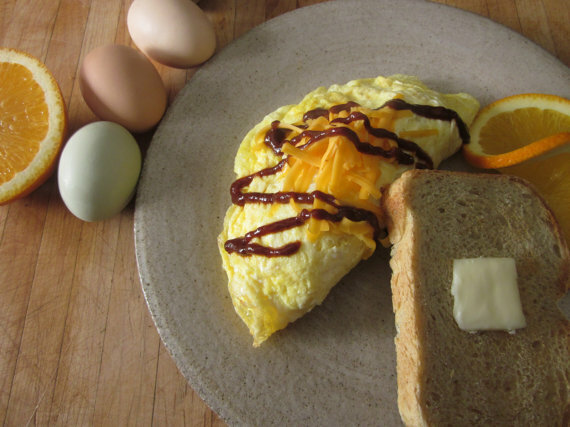 The sauces, which were featured in Jane & Michael Stern’s 2005 edition of Roadfood, are available at a wide range of local stores including (but not limited to) Metcalfe's Sentry, Sendik's Food Market (Wauwatosa), Tower Chicken, and Woodman's Market. 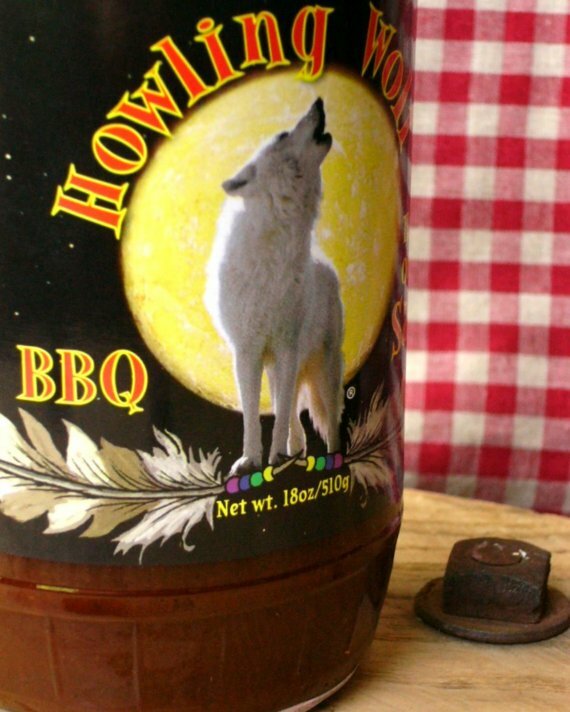 We love the Howling Wolf line of gourmet BBQ sauces -- not only because they're made locally -- but because they are created in small batches using the finest ingredients available. None of them contain high fructose corn syrup. They don't use irradiated spices. And their products are both extremely flavorful and very versatile. 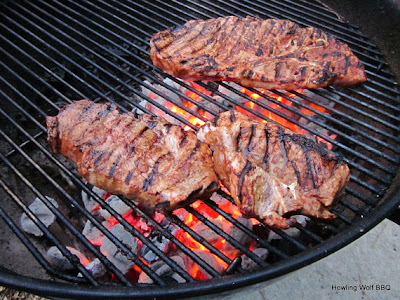 For example, the Cranberry Orange BBQ can be used as a glaze for Asian sweet and sour, and the original sauce can be mixed with yogurt to take on a unique Middle Eastern flavor. In addition to sauces, the company also makes a collection of spice rubs, of which The Land and Sea Rub is the most popular. It was created to enhance the buttery flavors in fish, but it's equally delicious on pork, chicken, and even steaks. Try it on a baked potato! Popcorn! Vegetables! Use your imagination and surprise yourself. We'd like to give you the opportunity to try out a couple of Howling Wolf products for yourself. This is the sixth of seven 5th Burp!-Day giveaways taking place on the blog during the month of June. One lucky reader will win an 18 oz bottle of Howling Wolf original barbeque sauce, along with a packet of Land & Sea Rub. To enter, leave us a comment below telling us what you'll do with your barbeque sauce or Land & Sea rub if you win it. For a bonus entry, head over to the Howling Wolf Facebook page and give them a big fat LIKE. Be sure to leave us a comment letting us know you did just that. You'll have until NOON on June 30, 2012 to enter. Winners will be chosen at random and notified by email, so please leave your email addy with your comment if it's not included with your Blogger profile. Entries from the U.S. only, please. As an added bonus, since June is Dairy Month, all entrants will ALSO be entered to win a grand prize assortment of hand-selected Wisconsin cheeses. Full Disclosure: This giveaway is sponsored by Howling Wolf, who provided us with the product for our giveaway. However, all opinions expressed in this post are our own. Some grilled BBQ ribs sound pretty fabulous. The rub sounds amazing! I would probably use it on fish when making grilled fish tacos (tilapia!)... And, you better believe I gave them a big fat LIKE! Oooo I think I would BBQ up a nice tritip roast on the grill. That sauce would be a great addition. Mmmm...I love sauce, so the BBQ would probably be dipped into by any kind of meat, or made into pulled BBQ pork sandwiches, etc... I love hot-air popped popcorn and would love to try the idea of sprinkling the rub on as flavoring! I'll dip tempura green beans in it. YUM!!! In a dressing for a salad with lots of fresh veggies that's topped with pulled pork and a little bit of cheese. Oh, we love the Howling Wolf stuff at our house. We found there sauce is perfect for throwing in the crock pot with some beef or pork and slow cooking all day. It gives us a wonderful pulled meat bbq even in winter. I'd love to try the Land and Sea rub on grilled fish. Thank you...sounds delicious!